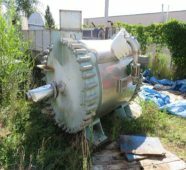 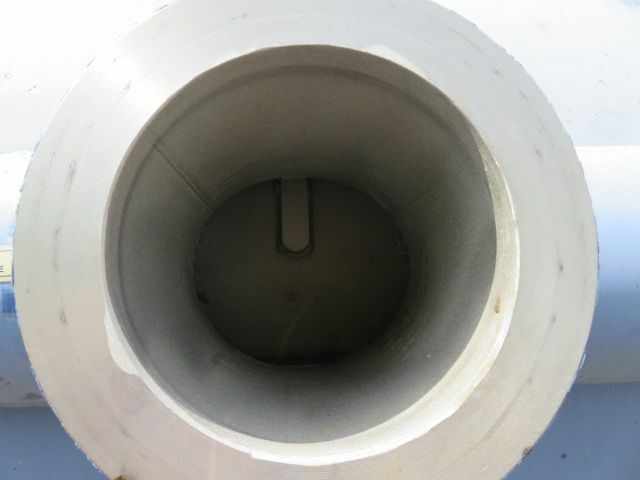 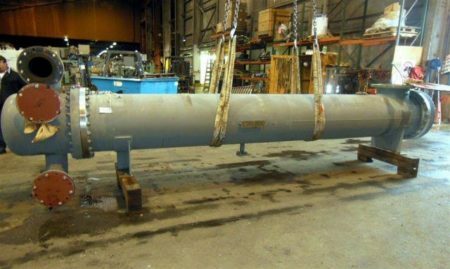 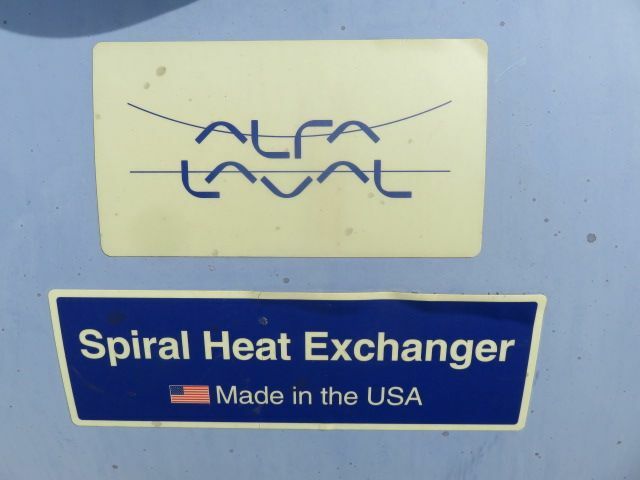 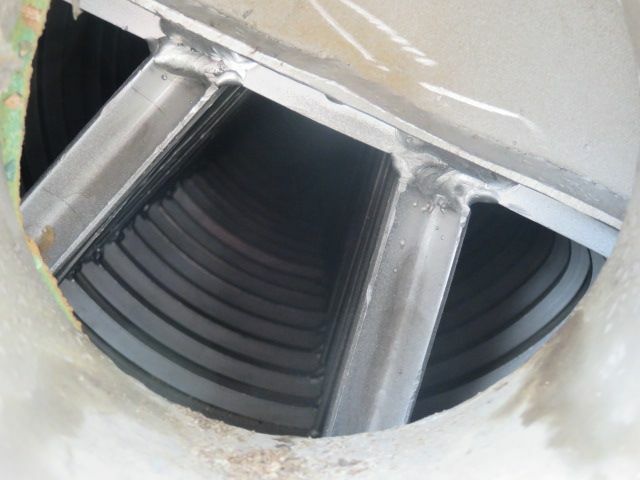 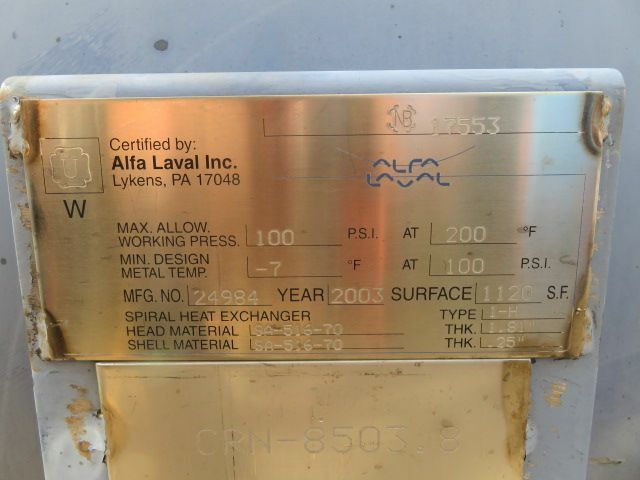 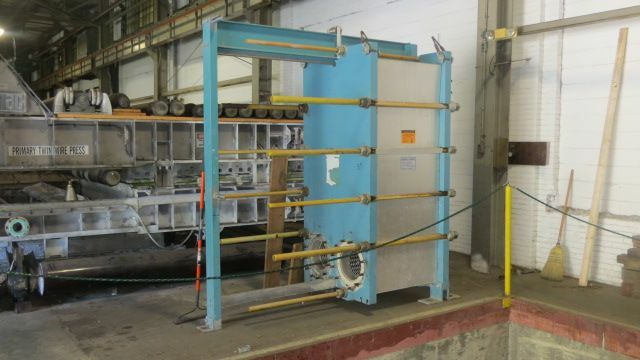 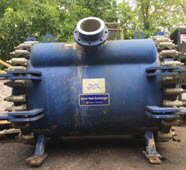 Alfa Laval Spiral Heat Exchanger1120 square feet surface area, year 2003, 100 psi @ 200F, -7F @ 100psi, NB 17553. 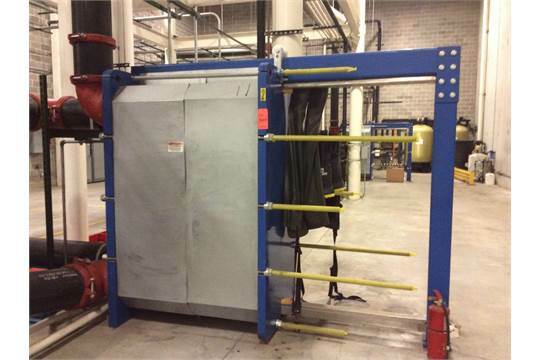 Description: Manufacture: Prop-par (1978) Year: 1995 Dia: 16" O/A LGTH: 94.25"
Description: Manufacture:Graham Corporation S/N: 01-46300-8 Weight: 5850.00 Length: 232.00 Width: 40.00.. 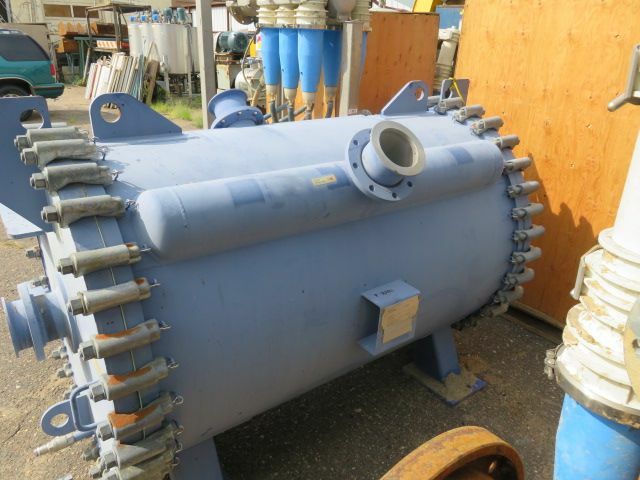 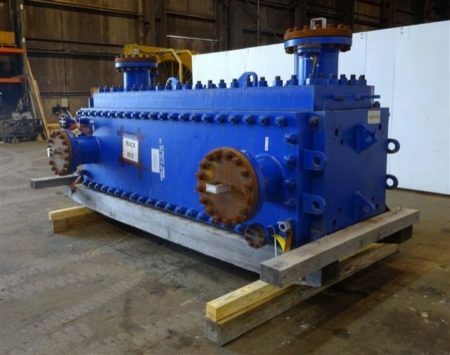 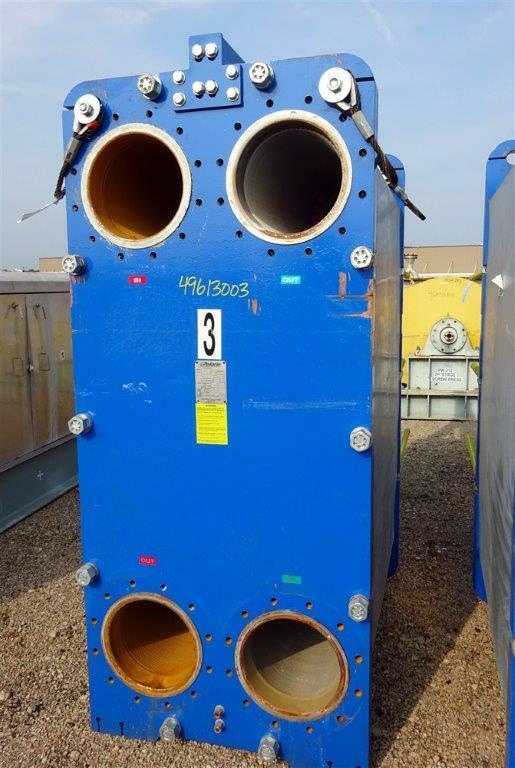 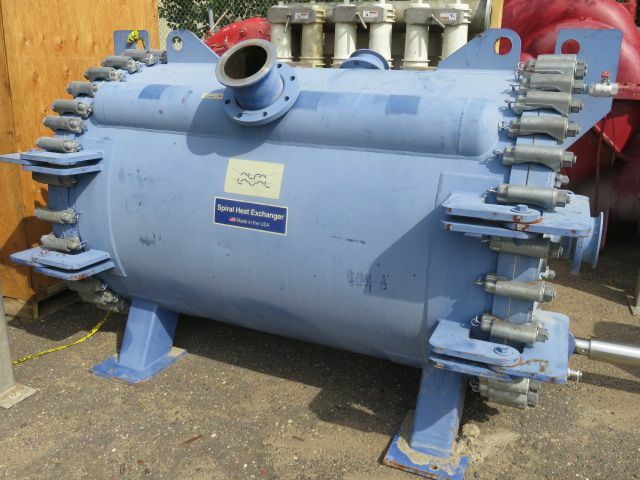 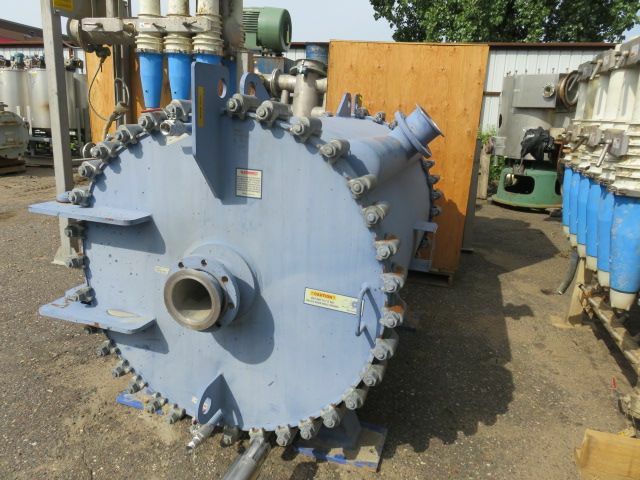 Description: Type: Plate Heat Exchanger Model: S121IS330 Weight: 11.000 lbs Lenght:.. 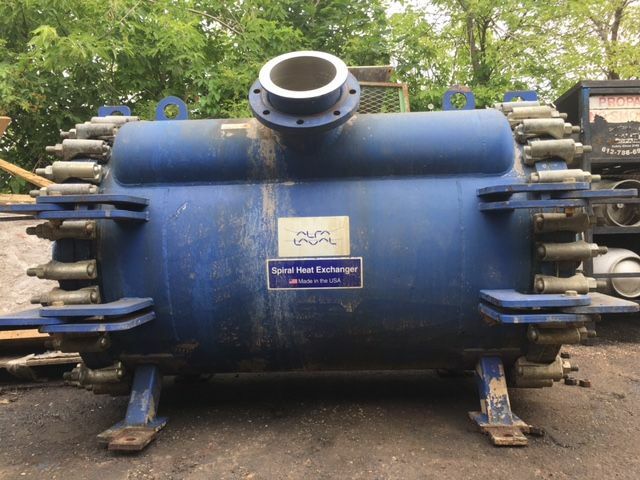 Description: Contact us for more info!